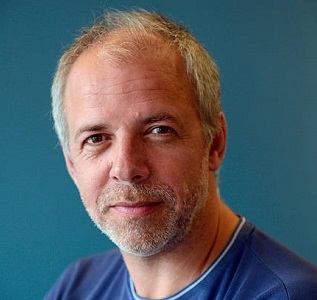 Founder and CEO of Xilam Animation Marc du Pontavice began his career with Gaumont (1991-1995) where he supervised production of over 100 hours of prime time drama, including the series Highlander. He then went on to create Gaumont Multimedia in 1995 to develop new business in animation, internet and video games. In 1999 he purchased the company’s assets to form Xilam Animation, which entered the stock market in 2002. Since then Xilam has become one of the world leaders in animation production for television with successful series like Oggy and the Cockroaches, Space Goofs, Zig and Sharko, under his supervision. It has also produced 2000 episodes of animation programming that have been broadcast in 150 countries. Xilam is one of the top content providers to YouTube currently with over 200 million views every month. The company has also produced three animated feature films – Kaena, Lucky Luke and Oggy and the Cockroaches. Pontavice is also the founder and CEO of One World Films, a production company of live action feature films. Its library includes Gainsbourg (A heroic life), a critical and box office success with three Césars (French Oscars), War of the Buttons, Far From Men (adapted from Albert Camus’ short story The Guest). He has also been vice chairman of the French Animation Producer’s Union (SPFA) for 12 years. What were some of your considerations when originally designing the characters for Oggy and the Cockroaches, 20 years ago? I had something specific in my mind. I really wanted to get back to having the reference to the tradition of the Hanna-Barbera style. I wanted to bring back into fashion that kind of non-verbal show. I told the creator, Jean-Yves Raimbaud to think of how Tom and Jerry would look like in 2000. He thought about it for a couple of weeks and we decided to keep the blue cat and change the mouse for the roaches to revert the dynamic between the characters. It’s not the cat after the mouse, but the roaches that makes the life of the cat difficult. That was pretty much how it all started. It is obviously a little more complicated than that but that was the dynamic. Then we started to work on the characters and their personalities, because 20 years ago it was very daring to do a non-verbal show. You can’t ground your story on dialogue which means you need to have strong personality that can sustain a seven minute episode. And, as I always say, slapstick is not only about gags. Gags are an important factor but you can get bored of it, so you need strong stories and strong characters as well. So the whole thing was to create very strong characters. Obviously Oggy has this wonderful and endearing personality, the roaches have their own personality, and then we added Jack and more characters like Bob and Olivia, Oggy’s love interest over the years. All of that creates a circle of characters that the audience likes to come back to. If you are a kid watching today for the first time, is there any backstory you are missing out on because you haven’t watched the first season? Every episode and each season can be a stand-alone story and you can dive straight into it and absorb it. The beauty of the show is that you don’t really need a story. The humour comes from the complexity of the relationship between Oggy and the roaches. There are episodes when the roaches are not around and Oggy is not happy about it. And there are some when Oggy is not there and the roaches are bored. It is an ongoing relationship with much love and hate. The viewing experiences are very different now than what it was when you first started making the show. Do you think about things like capturing kids’ attention, and do you think about the competition you are up against in terms of the way they get distracted easily…(watching Oggy one minute, playing games the next)? Oh, yes we think about it. These days we are entertaining a different audience who consume content in a different way. But they are still kids, and they still enjoy funny cartoons. Yes, they can be easily distracted and the story structure is vital. In some of earlier episodes, there were often just gags and situations that would develop in a certain way. Now we believe the story structure, even for a seven minute non-dialogue show, is crucial to hold attention spans. In some way, you want kids to want to know how it is going to end and how the story will evolve. So we pay much more attention to it. With so many channels and competitors these days, we need our show to talk very strongly, both visually and aurally. We want kids to recognise and understand Oggy quickly. With Oggy, there is a very strong signature that creates a bond with the audience and they love it. 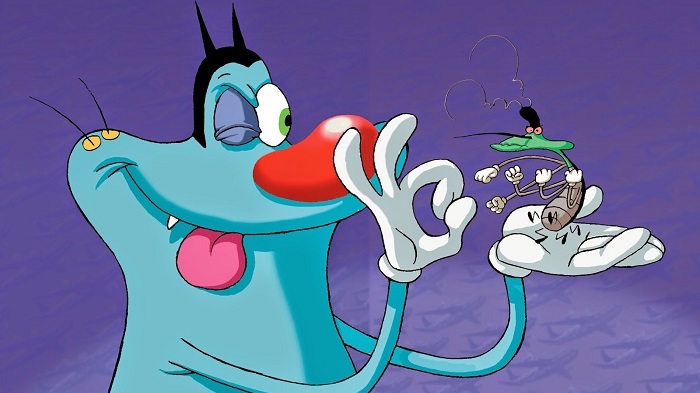 Do you think the action in Oggy and the Cockroaches is the show’s most distinctive feature? Maybe it’s not action but slapstick? Yes, there’s action in the sense that there is lot going on and that physical comedy plays a big role. I always say that it can’t only be about the action, or otherwise the viewer will get bored. It is about the characters and how much empathy you have towards their personality. For example, there’s a scene where Oggy is simply taking care of his garden. Story-wise it doesn’t seem to be that important, but character-wise it’s essential because it reveals something unique about the character. Kids adore this hero not only because they are doing something heroic but also because the character is very lovable and relatable. Can you talk us through the episode of when Oggy goes to India? When Oggy was getting more and more popular in India, we really liked the idea of setting an episode there. But we were very frightened about telling the wrong kind of story that didn’t do justice to the place or was very cliché. It felt a bit odd for us to create a show like that out of a studio in Paris basically. So, we decided to send our director to spend a week or two to India, to find the inspiration and to try and avoid the stereotypes. He is a true traveler and it was a great opportunity to try and create an episode that would make sense to Indians. Most of the time we avoid cultural contexts because the show is meant to be universal. That was another reason we had to be careful and spent some time researching India. Do you have a message for the Indian audiences watching Oggy and the Cockroaches? We are incredibly happy, proud and very thankful that Indian kids love Oggy so much. It is incredibly rewarding that we are living in Paris, doing these drawings, writing these stories which are loved and much appreciated. We certainly hope what we create will make people laugh as much as possible. Frankly, we did expect to crack the US, UK and Europe market, but we had no idea that it would work so well here in India. For us it is an amazing adventure, probably one of the best we have earned in my career. This is the story that I share the most when I talk with someone who doesn’t know about cartoons. People have a hard time imagining success in international markets, and then I tell them about India and I should add that Cartoon Network has played a huge role in it.